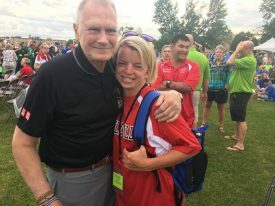 Denny Alldridge, former CEO of Special Olympics Wisconsin and longtime leader of the movement, passed away on September 5. Denny’s work with Special Olympics spanned over four decades and contributed greatly to the success of our movement. Denny made a lasting impression on all of the friends and colleagues he made through Special Olympics and beyond. His impact will be felt for decades to come. 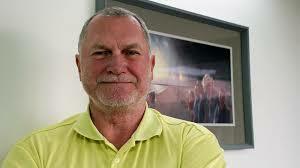 “Denny was a friend, mentor, and leader to thousands. The athletes were at the top of this thoughts and decisions,” says Dave Breen, President and CEO of Special Olympics Illinois. His initial involvement was after honorable service in the U.S. Army when he worked for the Decatur Park District and a program that involved a track and field for people with intellectual disabilities. Denny spent nine years as CEO of Special Olympics Illinois before his 26 years as Present and CEO of Special Olympics Wisconsin. He found great enjoyment in getting to know and develop deep friendships with the athletes he served. “His laugh was infectious, his smile inviting and his sense of timing almost always perfect.” Special Olympics Illinois colleague and friend, Kevin O’Brien. He is survived by his wife Beth; Sister Janie; children Travis, Alyson (Tyrone). Josh (Lauren), Dan, and Tom; grandchildren Katie, Jonah, Maggie, Ava, Delaney, and Cora.